Tired of the hype and lies that give Network Marketing a bad rap? Looking for a home-based business? Looking for help in building your existing Network Marketing Opportunity? A thought leader of your respective industry who wants to extend your products and services to the Network Marketing Community? Mike is a former dentist who sold his practice in 1996 to focus solely on his career in Network Marketing. He has over 20 years of experience in the industry, and was one of the three co-founders of ProSTEP, the industry’s largest lead generation, training and support company from 1995-2002. Mike’s innovative thinking and expertise in the industry helped sky-rocket ProSTEP to generating $120 million dollars over ten years. Today, Mike continues to earn five-figures a month in his Network Marketing company and also helps others in the industry achieve success. He is a leader in direct mail marketing and can help you achieve expansion of your products and services, both through direct mail and through the Network Marketing profession. 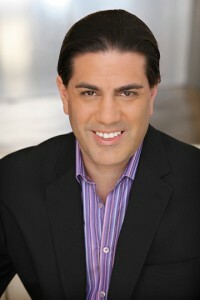 Mike is a former Dentist, graduate of NYU College of Dentistry, D.D.S. 1994 . . . who walked away from his dental practice in Florida two years later to focus solely on his network marketing career. In 1994, he was one of three cofounders of ProSTEP, a company that provided pre-qualified leads, training, and support to network marketing distributors representing more than 700 different opportunities. ProSTEP became the industry’s largest company of its kind and grossed $120+ million from 1995-2005. During his managerial career with ProSTEP, Mike was instrumental in creating training programs and tools on such skills as pre-qualifying prospects, warm-market prospecting, cold-market prospecting, auto-responder marketing. In the late 1980′s, Mike realized that direct mail was an under-utilized opportunity and devised a Direct Mail system enabling him to enroll 500+ new distributors every single month for three straight years. From 1994-2002 he relinquished his distributorship position to serve as an executive managing ProSTEP’s rapid growth which included providing proactive support and step-by-step training to 30,000+ network marketing distributors. Mike left ProSTEP to start his own low-carb frozen food business – which did $2 million in sales and was featured on Good Morning America. He returned to the profession in 2006 and quickly discovered the standard automation techniques of the Internet Boom were no longer working effectively. He refined and updated his direct mail strategies so the “average person on a low budget” could access and implement the techniques with reliable results. Offended and outraged by the devious practices of unprincipled marketers and the unacceptable 95% failure rate, Mike became determined to develop honest, honorable practices that would increase the likelihood of success in Network Marketing – even for “newbies” who had no prior business experience or expertise. He started researching best practices from other industries and began introducing them into his programs. He has an uncanny ability to find “hidden gems,” high-potential, yet under-earning companies that are beyond start-up status and scalable. He was the top-recruiter in four of them and is his current company’s top recruiter. He believes that Network Marketing can be a profitable career for the unemployed, under-employed and unhappy – IF they are given the proper tools, training and support.